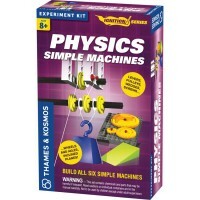 Build 5 simple machines and learn principles of physics with this fun educational Learning Resources science kit. 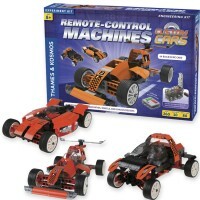 5 models in one kit! 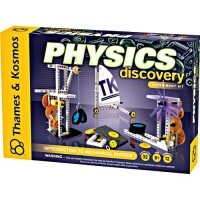 Young scientists can learn all about the basic principles of physics with the Simple Machines Science Building Set by Learning Resources! 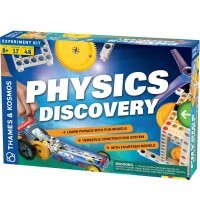 This hands-on science set contains 63 colorful pieces from which young learners can build 5 simple machines models: a pulley, an inclined plane, a wedge, a wheel and axle, and a lever. 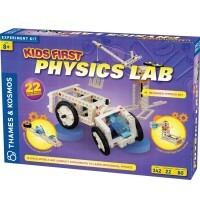 The building parts are labeled for easier assembly and storage. 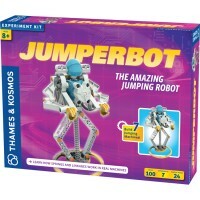 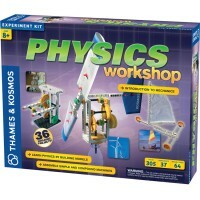 The physics building kit also offers children an opportunity to play and experiment with their constructed models. 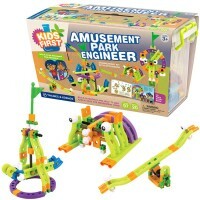 They can try out different wheels on the pulley. 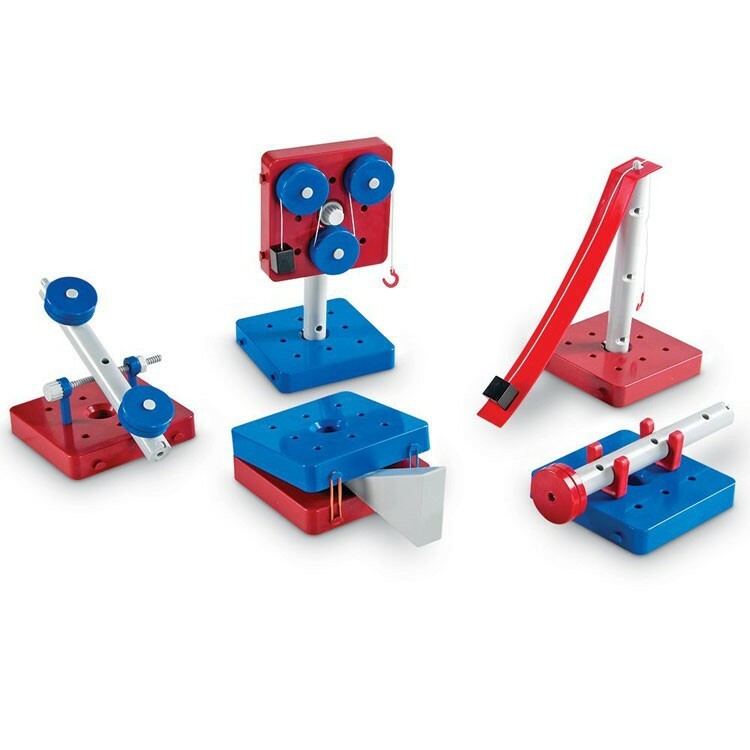 They can adjust the height of the inclined plane. 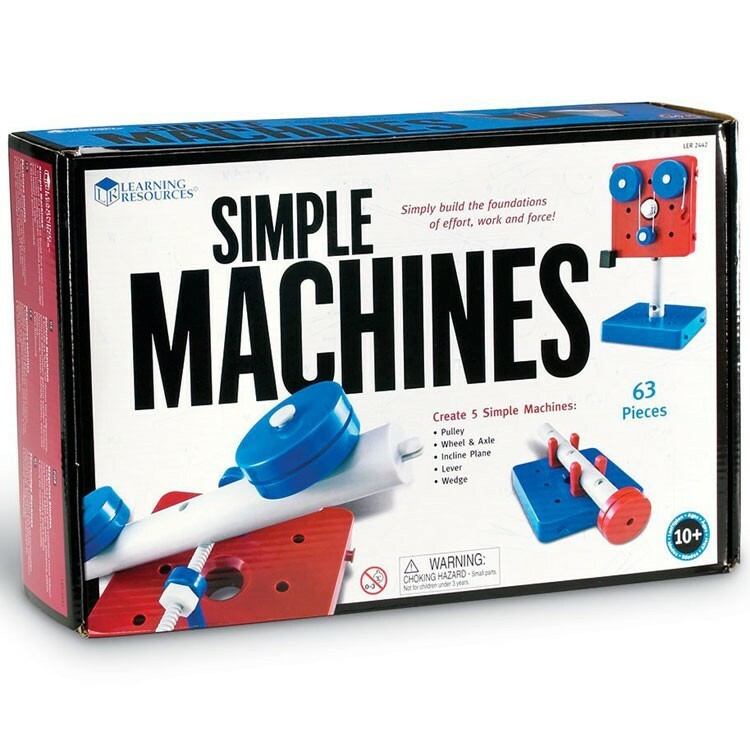 They can try out 3 different types of levels. 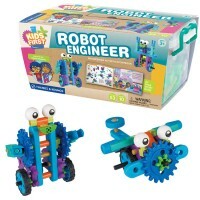 They can also construct a car wheel and axle or a doorknob wheel and axle. 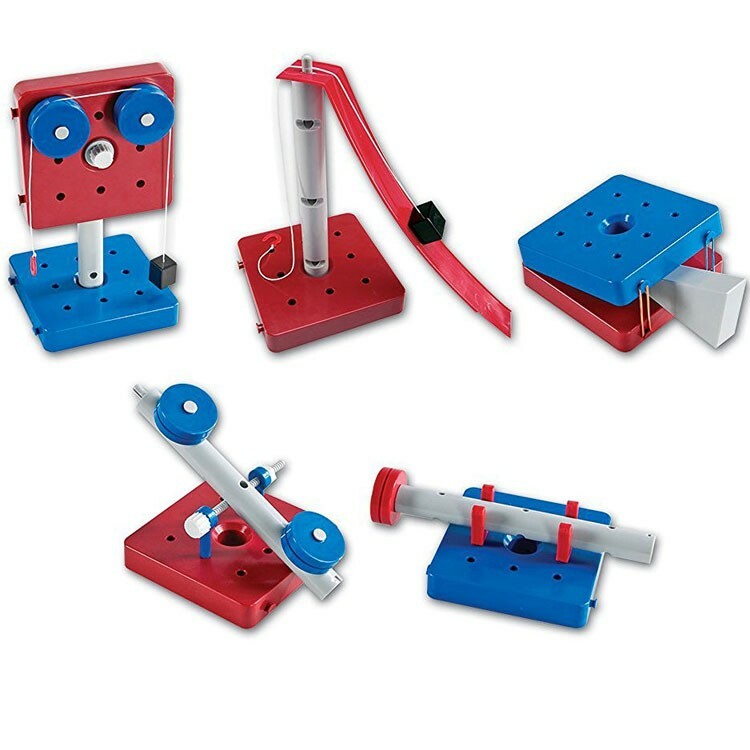 Young builders can modify machines with 4 included weights (2 - 5g, 2 - 10g) and 8 included rubber bands to explore effort, force, load, motion and distance. 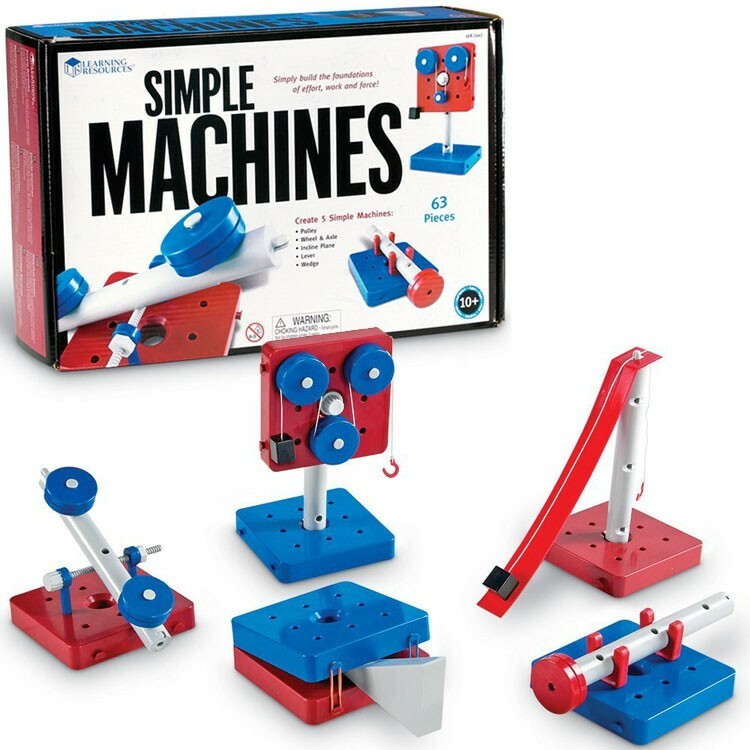 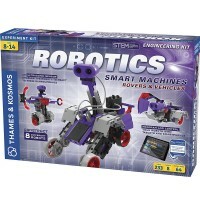 The Simple Machines Science Building Set from Educational Toys Planet also includes detailed instructions that will help young machine constructors assemble the models together. Dimensions of package 5.5" x 5.5" x 12"
Write your own review of Simple Machines Science Building Set.